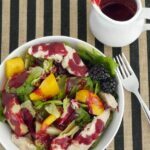 If you miss the deep fruitiness of balsamic-based salad dressings, then you’ll love this low carb blackberry vinaigrette! 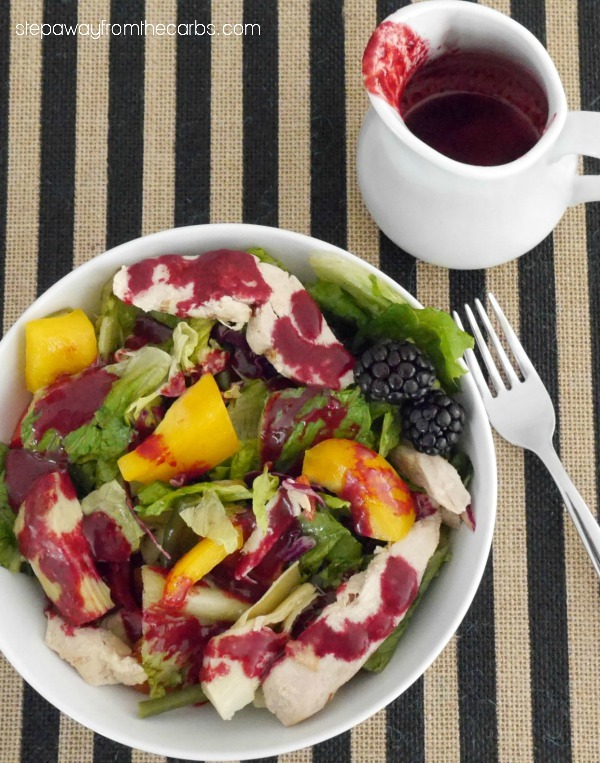 I love adding a fantastic dressing to salad, but did you know that some balsamic-based options have 7g net carbs per serving of two tablespoons?!? So I created this version as a low carb alternative – with less than 3g net carbs per serving. 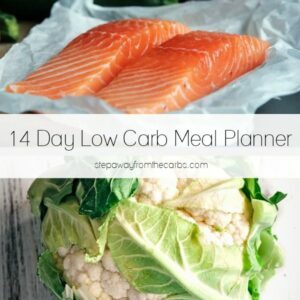 It may not seem like much of a difference, but those little carbs do add up over the course of a day! 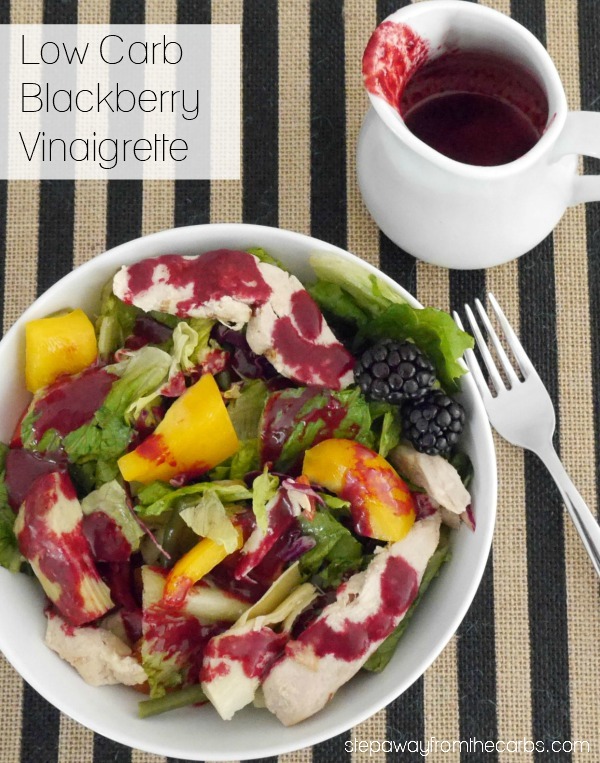 To make the vinaigrette, add fresh blackberries, red wine vinegar, Dijon mustard, onion powder and sweetener to a saucepan. I should mention that this is NOT an overly sweet vinaigrette, so you may prefer to add more sweetener (I used Swerve). Cook the mixture over a low heat for five minutes, stirring to combine and gently mashing the blackberries into the liquid. Remove from the heat and strain. Yes, I know it means more items to wash up but your dressing will be much better if you do! Let the mixture cool. Just before serving, whisk in some olive oil. This dressing is delicious over a chicken salad as shown here. Add the vinegar, sweetener, mustard, onion powder and blackberries to a small saucepan. Heat over a low heat, gently mashing the blackberries and stirring until all is combined. After five minutes, remove from the heat and strain the mixture. Discard the blackberry pulp. Let cool, then whisk in the olive oil. Thanks! We have wild blackberries on our property, and I was looking for something other then jam again this year. I bet it will be amazing with wild berries! When I stored my batch in the refrigerator my olive oil went to a solid. Is this recipe safe to leave out of the refrigerator? Yes that happens to me too. I just remove it 10 minutes before I’m going to need it, and give it a quick swirl to mix up again.